A country’s political system can be understood only by knowing about the history of the country. The British state has an unwritten constitution, over the time Britain and their constitution has evolved. The British were one of the greatest colonizers in world history, they never have been invaded or occupied, by any other country. Even the monarchy has evolved, the British monarchy is a constitutional monarchy, where most of the powers are vested on the people elected parliamentary. It all started in 1215 when King John signed the Magna Carta, after which the absolute power of the crown, was shared with the barons. It is considered as the first attempt for rights of the citizen. In 1295, King Edward 1 summoned the first Model parliament, which was regarded as the very first assembly with public representatives. After this, the monarchs were required to get the permission of Parliament before new taxation, or any other public related topics. It was the in 1689 when the Bill of Rights was introduced and it brought some major changes in British politics. Bill of Rights decided the power distribution between the crown and parliament, basically, the power shifted from the crown to the parliament. Also, the made regular elections mandatory and gave the right to petition. The three important pillars of British politics are the Ministers, the legislatures and the Judiciary. Monarch has a limited power over the country’s politics. Such kind of political system, provides power distribution, among the responsible institutions, so, there is no centralization of power. Such distributions of power make sure there is no misuse of power. The parliament in Britain consists of two chambers, House of Common and House of Lords. 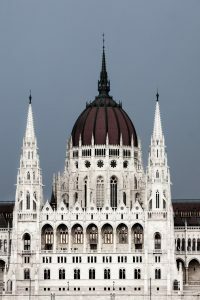 House of Common: The lower house, it consists of 650 members, the elected representatives, though the number of member keeps changing depending on the population growth. The house is chaired by the non-political speaker. The House of Common holds the most powers in the whole system. House of Lords: The upper house, the number of members is not fixed, they have less power. The main role is to keep a check on the lower house and their activities. They have the power to block certain bills, but not for a long period. There are different committees for different issues, these committees are actually the place where most of the work is done. Debates and discussions are very much an important part of the British political system. Every bill is passed only after discussions and debates in both houses. The party in opposition can ask questions to the sitting government in public interest. The sessions of the parliament are recorded, and the print and broadcasting journalists are present in every session, so, the whole British political system is quite transparent. The British political system has come a long way, and there are still working on improving it. The major evolution was the power shift from the monarchs to the representatives of people.